Let it be known that before Denzel Washington and Liam Neeson began smashing heads on the big screen, and before Paul Walker and Vin Diesel personified what it means to be fast and furious, Tom Cruise redefined the big screen action genre with death-defying stunts (like dangling on the outside of a speeding plane) and oh-so-cool dialogue in the blockbuster franchise, Mission Impossible. 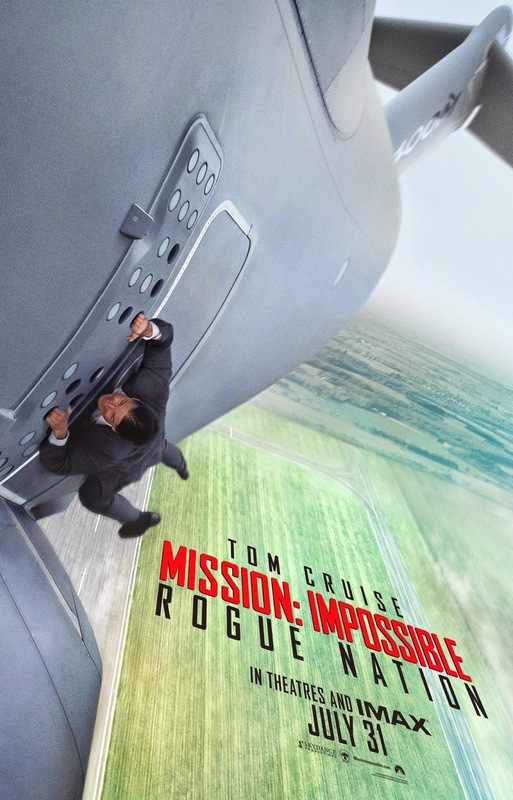 Read this USA Today interview with Tom Cruise and director Christopher McQuarrie (Jack Reacher), and watch MISSION: IMPOSSIBLE ROGUE NATION when it hits theaters July 31. I've always liked Cruise, never really paid attention to his personal life or cared for that matter. This looks fantastic!